Hey, guys, Tomé here! Since André and Pichel are currently enjoying some well-deserved vacation time, only Iuri and I got some stuff to show you this week. I worked on another stone built prop, a “Tempietto”. 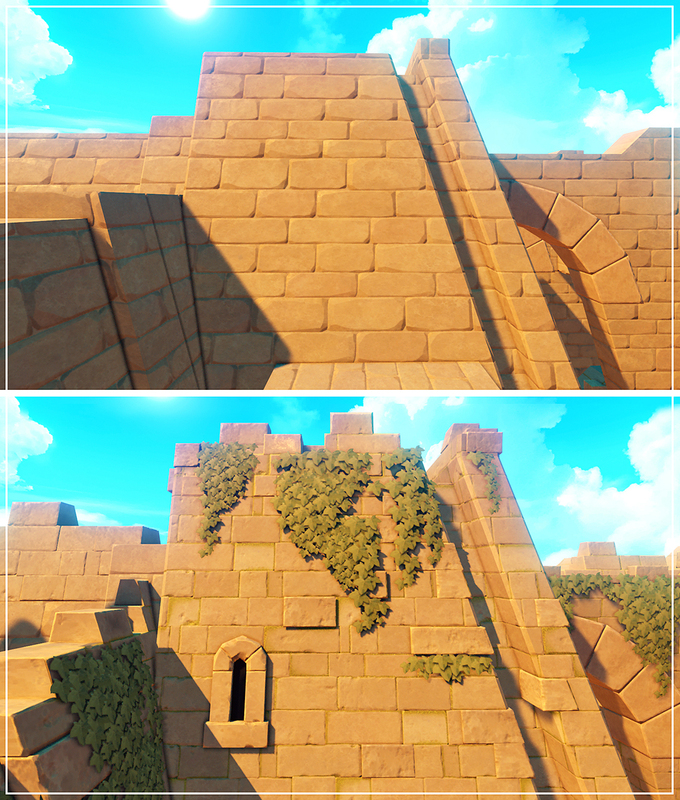 Like in previous assets we developed, this monument is composed of separate parts that can be hidden or relocated in order to organize different ruin compositions. 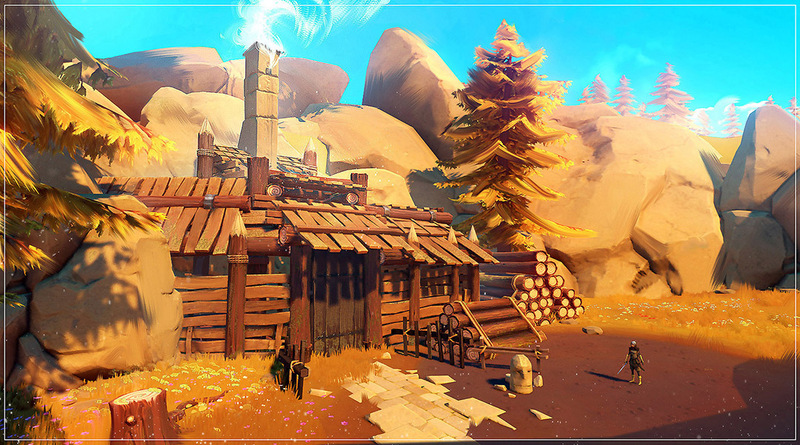 Remember the Lumberjack fellow we’ve shown before? I started exploring how his house could look like in the game. It’s pretty big. Inside there will be a few surprises for curious adventurers! Finally, I spent some time doing an overhaul of the modular stone building kit we have. I wasn’t too happy about the tileable textures I had developed before, so I made new ones, and added a couple of new props that hopefully help these structures start to feel like ancient ruins. You can see how the whole thing’s progressing below. Before and after the visual upgrade. From our animation specialist, we got the polished version of the walk cycle featured in the last post, and a brand new trot animation for the Elk! Polished version of the walk cycle. This entry was posted in Dev Blog, WIP and tagged 3D, Animation, Concept, WIP on July 22, 2016 by admin.